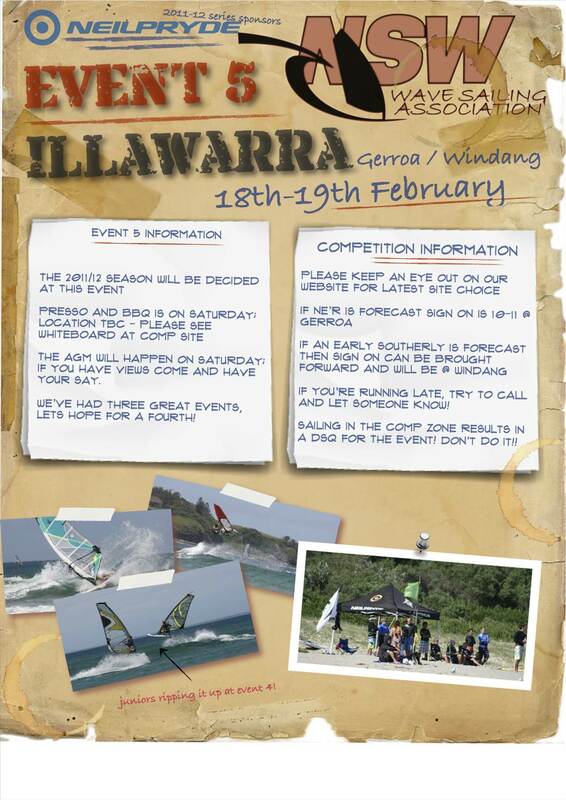 The 5th and final event of the 2011/12 NSW Wavesailing Association season is on next weekend – 18/19 February! We can’t believe it is coming to an end. We will put together a season wrap but suffice to say this has been a standout season. Record numbers of competitors, great conditions (in what has been an average season) and amazing sponsors. We have some excellent gear up for grabs from all of our sponsors over the season – the support we get from you really is appreciated. 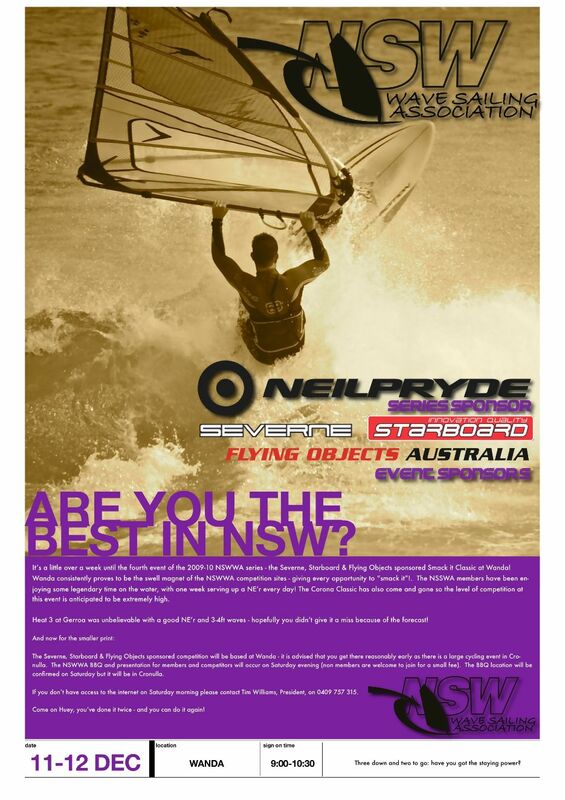 Windsurfnsnow, The Windsurfing Shed, Ask Huey, Neil Pryde/JP and Dirty Dog have all been great, thanks. We will be running a SUCCINCT AGM on Saturday. Please come along if you have views on the association. Adrien and I will be making sure this is a quick affair. If you have something to add, think of what you’re going to say in advance! Bring your dress thongs as we’ll no doubt be heading to Fishos to finish the night off! There are a number of Top 3 places still to be contested so make sure you join us!